The Eclectic Entrepreneur: For The Vampire Lover in YOU! For The Vampire Lover in YOU! Smooth and medium-bodied with a fresh, black cherry aroma, and hints of herbal spices. Aged in oak, our Merlot develops graceful fruit flavors in the cellar, complemented by subtle shadings of vanilla and toast from the oak. 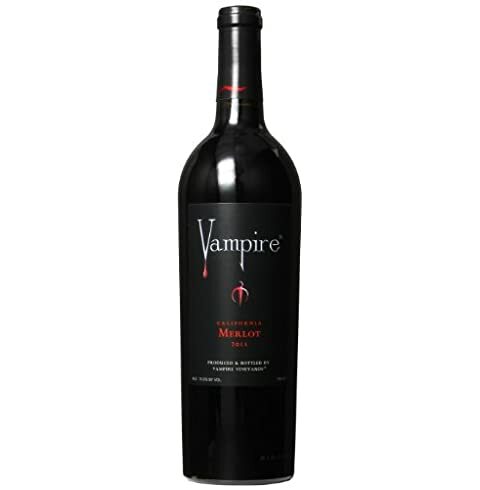 Approachable now, Vampire Merlot has a long, rich finish and is perfectly balanced for additional bottle aging.